Regardless of how precious our "little bundles of joy" might be, there will still undoubtedly be those moments when an outside source of parenting help is needed. When this is the case, it helps to know where this additional parenting help can be found. Have no fear! The following list outlines a variety of sources that offer all the parenting help you&apos;ll need! Where can parents go to get the parenting help they need? Other Parents – Perhaps the most "common sense" approach for seeking parenting help is to simply speak to other parents. An incredible amount of insight can be gleaned from parents that have "been there, done that." Want to learn tips for managing a toddler&apos;s tantrum or how to address a specific teen issue? Speak to a parent that has a toddler, or to one that is raising a teen. "Other parents" can be valuable sources of information when parenting help is needed. Internet – The internet is easily accessible and contains more parenting tips and advice than anyone could possibly imagine. 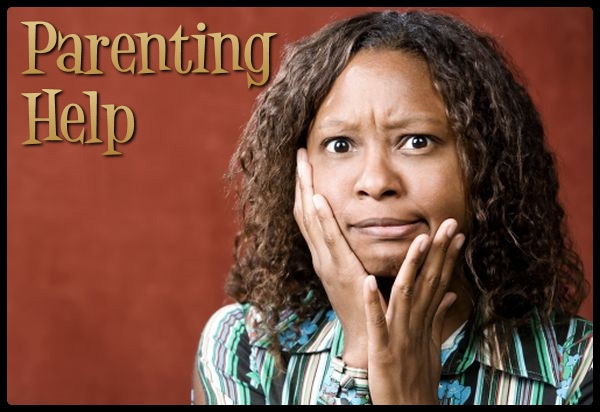 All a parent needs to do is to type the words "parenting help" or "behavior management" in the search field of their browser and within a split second there are literally pages and pages of readily available parenting sites offering help to those in need of it. Parents can get as specific as they want to in the searches. For instance, if your child has a problem getting along with his or her sibling, then a search of "sibling rivalry" will produce literally thousands of pages and/or sites offering their own take on the issue. The internet is a fabulous source for parenting help and/or behavior management tips. Parenting Books – A quick trip to the local book store might be the best option for those seeking parenting help or advice. Most book stores have a full section devoted to parenting or child-rearing. Parents can search for books by topic or issue (ADHD, discipline, social-skills, coping with grief, dealing with trauma, etc.) or they can purchase a general "parenting" book that is more comprehensive and/or age-specific. Book stores also carry many issue-specific workbooks that can be very beneficial to children and teens that might need additional help addressing their specific issues. School Counselor – School counselors can provide a wealth of insight and information with regards to a child&apos;s behavior and emotional well-being. Although most school counselors deal primarily with school-related issues, they often branch into the realm of parenting and can be a great source of help for parents. They can offer behavior management tips, time-management advice, and insight regarding certain behavior disorders and/or learning disorders which may have an effect on a particular child&apos;s ability to function at school and/or at home. Parenting Coach - Imagine hiring your own one-on-one "parenting guru" to provide the parenting help you need! That&apos;s exactly what a parenting coach does. Though they can be costly, parenting coaches can point out situation-specific issues and family dynamics that might be contributing to your child&apos;s behavior problems. Parent coaches assist parents with time-management, structure, discipline, communication, and so much more. A quality parent coach is worth his or her weight in gold! Parent Support Group - Sometimes a little support is all a parent needs. There&apos;s nothing quite like having a safe place to vent about the struggles and frustrations one faces as a parent and to learn from others that might be dealing with similar issues (or that have already gone through them). A good place to find a parent support group is to ask other parents, inquire at one&apos;s church or community center, or to simply do a "parenting group" search on your local Craigslist page. Parenting Classes - Similar to parenting support groups, parenting classes are a valuable source of help for parents. Classes tend to be a bit more formal than with support groups and there is usually a curriculum involved that may or may not provide the exact parenting help that is needed. Before attending a local parenting class, be sure to inquire about the skills and or information that is covered in that particular class. It would be helpful to speak with the instructor before deciding whether or not to take that particular class. Again, these can be found using the same ideas mentioned at the end of the "parent support group" description. Parenting Tools - Parenting tools are a simple and highly effective way to manage a child&apos;s behavior without having to exhaust a whole lot of effort and/or money. You might be asking yourself, "What are ‘parenting tools&apos;?" Parenting tools refer to tangible items such as chore charts, behavior contracts, token economy systems, portable time-out spots, and such that assist parents with behavior management. Parenting tools can be obtained online, in book stores, from counselors, or from a number of other sources. That&apos;s right, a printed piece of paper can often provide as much parenting help (or more) as any of the others mentioned in this article. Mental Health Center – Parenting help might just be as close as your local mental health center. A quick internet search or phone call can get almost any parent started on the road to recovery. Pediatrician – Your child&apos;s physician is the ultimate source of parenting help if it is believed that the root of the problem is a physical one. Pediatricians have a knack for determining whether a particular child&apos;s behavior has a physical basis or if it is a psychological one. Parents should consult with their child&apos;s doctor to determine the appropriate course of action regarding the child&apos;s behavior. Therapist/Psychologist – Therapists provide 1:1 therapy to children in need of help for psychological reasons. Perhaps the child is trying to cope with a traumatic event or is in need of coping-skills for anger. Maybe the child has an overwhelming level of anxiety in social situations or has issues with abandonment or fear. It could be something complex like depression or it could be something a little more simple - like learning to be more organized. Whatever the reason might be for seeking help from a therapist, children are likely to glean a considerable amount of insight regarding their issues…and this is likely to improve the quality of their life, and ultimately, their behavior. Psychiatrist – A psychiatrist can do pretty much anything a psychologist can do except that a psychiatrist can prescribe medication for various conditions that require it. An example would be medication for ADHD symptoms, anti-anxiety medication, and, in more serious cases, anti-psychotics. Residential Treatment Center – RTC&apos;s (Residential Treatment Centers) are an option for desperate parents seeking help, but the commitment is huge, the cost is enormous, and the results often vary. An intervention of this magnitude should really be a "last resort" when it comes to seeking "parenting help." Other options that are similar include teen boot camps, wilderness camps, day treatment, respite care, or psychiatric hospitalization. So there you have it! Hopefully this list will help to make your search for parenting help and/or behavior management advice a little bit easier. There are a lot of options. Be sure to consider each carefully then choose one (or more) that you think will help the most.